After nearly 200 years since its publication, an ex-slave’s memoir will get new life in the impending docudrama, Gina’s Journey: The Search for William Grimes. Completion of the film, however, depends solely on public support. My name is Regina Mason; Gina is my childhood nickname and William Grimes is my great, great, great grandfather. I have been on a quest to reclaim my ancestor’s life ever since I found him and his life’s work in 1993. In 1825 my forefather had the audacity to write and publish the first book length fugitive slave memoir in America, but you won’t find mention of him in any high school history book. In fact, most people never heard of him. 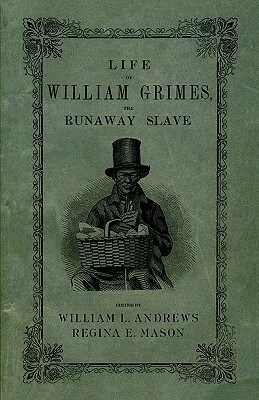 His was pretty much a neglected story until 2008 when my coeditor, William L. Andrews, an expert on early Black autobiography, and myself published a new, authoritative, edition of his book, Life of William Grimes, the Runaway Slave based on 15-years of research. Unlike the more famous slave narratives of the 1840s and 50s molded by white sponsors of the Abolitionist Movement, William Grimes was beholden to no one. His is truly a work of “literary independence” from someone who managed to pick up the bare bones of reading and writing while he was enslaved. To get a sense of how this pioneering narrative stood alone understand this: It predates the American Antislavery Society led by William Lloyd Garrison and his famous antislavery newspaper the Liberator. Freedom’s Journal, the first African American newspaper, hadn’t yet begun press. Nat Turner’s rebellion in Southampton, Virginia hadn’t yet been plotted. David Walker’s Appeal—one the most militant anti-slavery documents written—could only have been a brainstorm. Frederick Douglass—the most famous fugitive slave autobiographer— was only seven years old when the Grimes narrative appeared. William Grimes was ahead of his time. He was the first and only author of the slave narrative to write candidly about slavery in the South and crippling so-called freedom in the North. His is an early 19th Century voice in need of a 21st Century audience. With as little as $1 per person the public can help this man’s story get told plus learn about my incredible journey of historical recovery. The Gina’s Journey team is currently in the middle of a huge fundraising campaign through Kickstarter, a crowd-funding platform, to raise $35,000 by September 11, 2012, to begin production of the film Gina’s Journey: The Search for William Grimes. So far we’ve been blessed with $11,000 from everyday people and organizations that have stepped up to support us with as little as $1 to $5 or more. That’s the power of crowd funding small pledges in big numbers can yield big results. However, Kickstarter is an all or nothing endeavor. That means on the one hand, if we don’t reach our goal by the deadline, we get nothing, your credit card won’t get charged. If, on the other hand, we do reach our goal, you’ll receive perks or rewards for your efforts. What this woman has discovered is absolutely amazing! For her great great great grandfather to write a book and get the book published during a time when laws prevented and stifled black folks from reading and writing, he is definitely a hero in all of history! He got it done! Congratulations to Ms. Mason! You are something special! Your research, your perseverance, your consistency to write your part of the book, is nothing less than extraordinary!!! Thank you! I am grateful to God for those who persevere in order to accomplish righteous endeavors. Futhermore, those of us who feature the works of others as assist them with getting the word our about these nobel stories earn God's favor. Let us all make sure this story is heard by supporting this work and others like it as it is not in the interest of our enemies to finance our liberation from mental slavery. Subsequently, we are compelled to marshal our dollars towards this initiative. Thank you Brother Jesse for this amazing story. All the best to the Mason fanily.